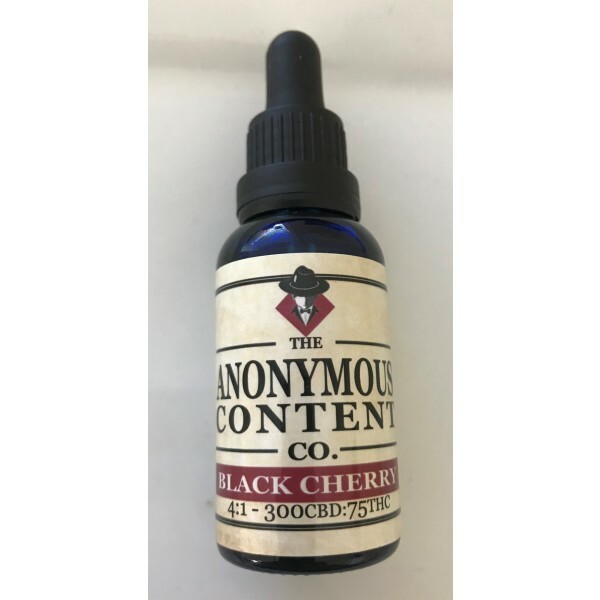 4:1 BlackCherry Flavour Tincture (300 MG CBD:75 MG THC) CBD Tincture 30ml size bottle – 300mg CBD and 75mg THC – Non Alcohol 4:1 Ratio 1ml dropper = 10mg CBD & 2.5mg THC Black Cherry Flavour CBD Infused Solvent Free CO2 Extracted Fast-acting alternative for discrete use. Effective relief from all forms of general inflammatory and neuropathic pain. Reduces stress and pain while promoting relaxation. Controlled dosing. 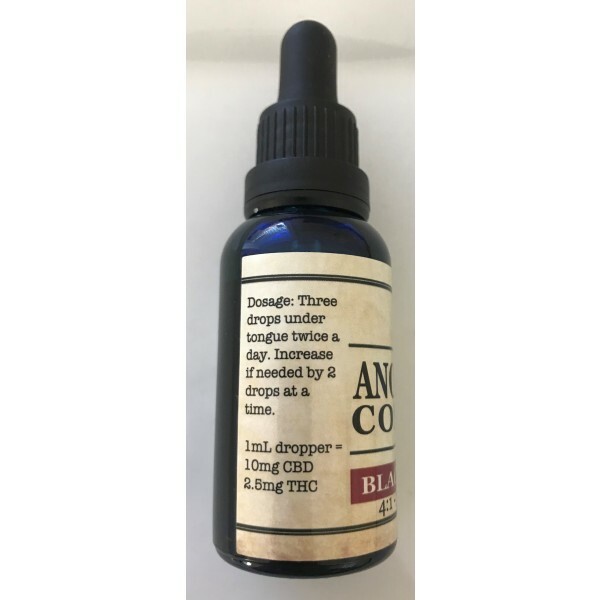 CBD Tincture drops offer significant advantages over other methods of administering medical cannabinoids: a 30ml jar with easy to use droplet application allows you to receive a precise dose into the mouth, sublingually. 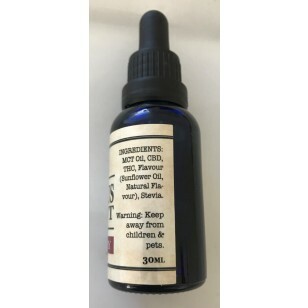 Absorption via oral mucosa into the bloodstream is fast and dependable. Tincture is not processed by the digestive system and liver into a metabolite as occurs with orally ingested cannabinoids in edibles. This means the effect is similar to smoking cannabis but without the smoke. Patients report that the precision-dose dropper makes it easy to achieve the appropriate level of medication. Unlike edibles, you know within a few minutes if the initial dosage was sufficient. Start with 3–5 drops, increasing slowly, if necessary. 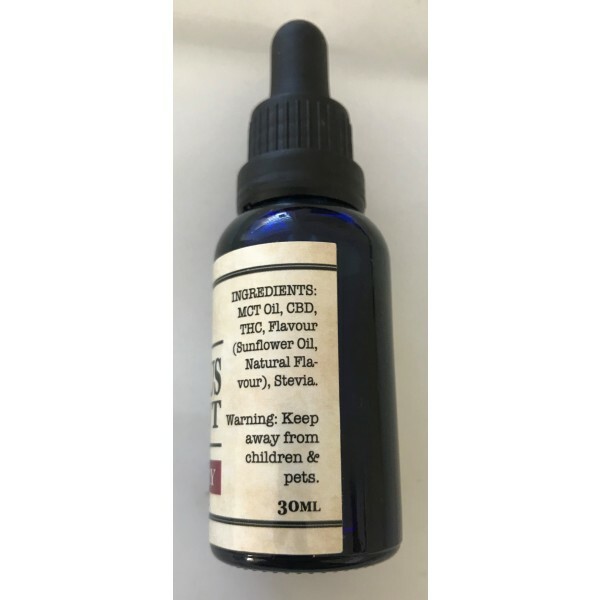 Unlike edibles, the tincture is absorbed quickly. Effect is similar to smoking cannabis but without the smoke. Onset within 15 minutes; lasts 1-2 hours.